Metal Gods of Ur-Hadad T-shirt on sale now! So you love the Metal Gods of Ur-Hadad Zine and you want to get this awesome image on a black T-shirt, well here is how you do it. Shipping is 5$ to Continental US. 10$ Everywhere else. If you are ordering multiple shirts, I can fit 2 shirts into an envelope and mail them at 7$ Continental US and 13$ Everywhere else. We are currently not shipping to the Serpent Moon. Sorry Snakemen. This sale will last for 10 days (ends 2/12/15). On 2/12/15 I will send the order to the printer. They will print the shirts with a turn around of about 1 week. I will then pick up the shirts and ship them out in the next few days. Maximum turn around from beginning of the sale to the ship date should be 20 days. I know this isn’t lightning fast like most internet shops, but this is a DIY operation, I like working with local people and being able to see what my product looks like before it goes out. So this is how I do it. I did it this way with the second run Catastrophe Island shirts and it worked out just fine. The image is silk screened on good quality black tees using a single pass of white ink. This gives the image a cool vintage look and preserves the tiny details of the original drawing which a second pass of ink has a tendency to bleed out. Any questions can be directed to the email address above or mrwaynesnyder (at) gmail (dot) com. 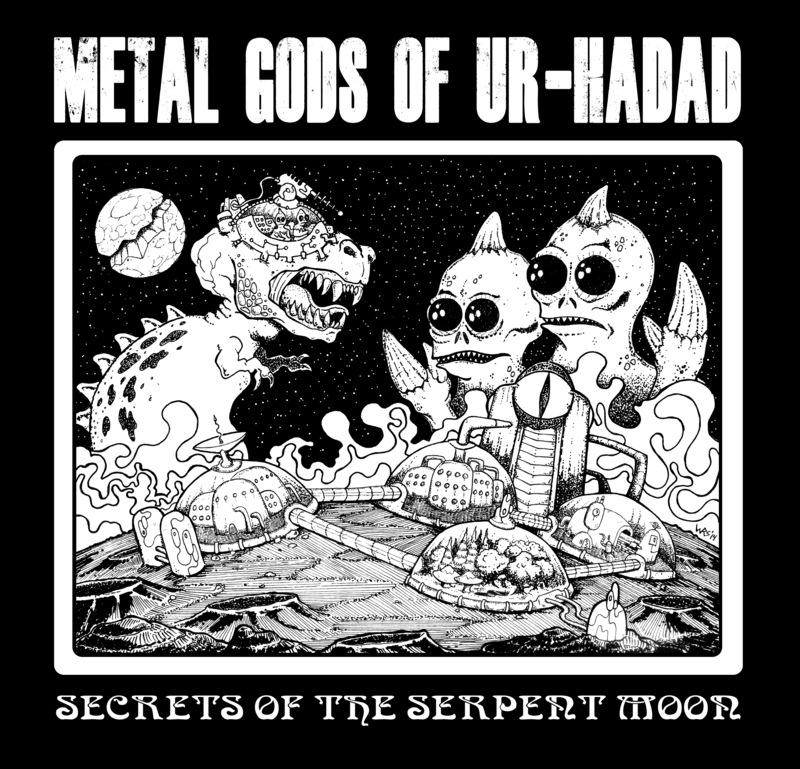 Posted in Art work, Metal Gods of Ur-Hadad, Metal Gods Zine, News! The occupations listed below all exist within the urchin gangs of Ur-Hadad. The titles of the occupations are in street slang common to the gangs. The Judge will have to determine the exact nature of the occupation for their individual game. All equipment is considered to be makeshift at best. Any equipment which suffers a fumble or a failed ability check during use requires the owner to pass a luck check or the item is considered destroyed. Street Kids of Ur-Hadad: Supplemental Hazards and Obstacles D11 Table. I came up with a extra table to go with Edgar Johnson‘s wonderful Street Kids of Ur-Hadad funnel generator as seen in the Metal Gods of Ur-Hadad Zine #1. Since it’s Metal Gods, it is a D11 table! A large sinkhole has opened in this area. Several houses and shops have collapsed into the depths. The sink hole is d100 feet deep and d100+100 feet wide. Bridge out ahead. The street crosses a bridge and it is either under construction or has collapsed. A 1d30 foot span is missing from the center. Dead end. A greedy landowner has illegally built a building across what was once a through street. Riot Barricade. A large pile of refuse, broken furniture repurposed doors and fences and all sorts of rubbish has been mounded up here during a time of unrest, it is 1d20+10 feet tall and as wide as the street. Fire! 1d4 nearby buildings are burning. Smoke fills the street and flames leap from roofs and windows. The ominous creak of failing support timbers can be heard over the roar of the flames. Flood! Murky swirling waters rush through the low areas of this street sweeping away assorted flotsam and the occasional goat. The water is 1d10 feet deep. Under Construction. The street surface has been removed and the earth below dug up into a confusing series of trenches and pits. Work materials litter the area and travel is difficult. Movement is reduced by half. Parade. A Religious or festive parade cross this thoroughfare. It is a long line of elaborate floats, musical ensembles, and costumed dancers. It seems to go on forever and breaking through it may have consequences. The parade takes 1d20 minutes to finish passing. Congestion. An over turned dung cart has caused quite a commotion ahead. A large and violently milling crowd blocks the way as angry horses rear up and stomp the ground. Men shout and wave their arms and all is chaos. Dignitaries. Some wealthy notables are passing through the area. Their guards, in fancy uniforms, have formed a cordon along their route, blocking all side streets, with a wall of unsmiling pikemen, as a gilded coach slowly rolls past. 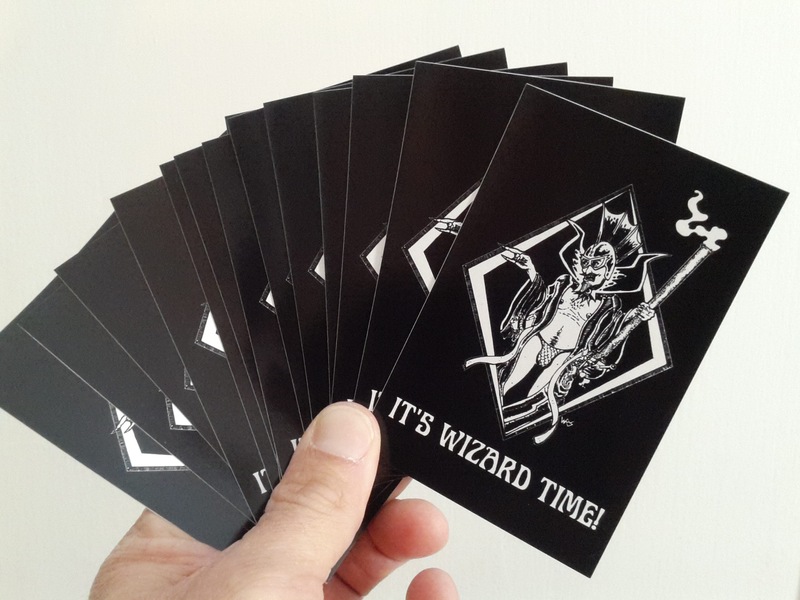 See the Zine for instruction on how to roll a D11, Adam Muszkiewicz style.